Did you realize just one BNSF train can remove several hundred trucks from our highways, significantly reducing traffic and carbon emissions? 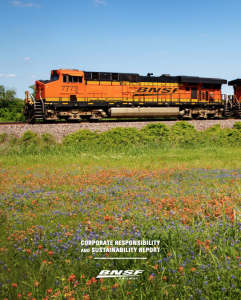 BNSF Railway recently issued its annual Corporate Responsibility and Sustainability Report, designed by SullivanPerkins. Make tracks to see it here.